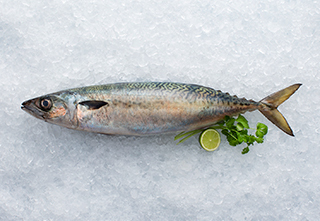 Blue mackerel are found all around the North Island and northern part of the South Island. It has dark oily flesh and patterns on its back, and swims in fast schools. A moderately oily fish, excellent for smoking. The flesh is dark but lightens when cooked.